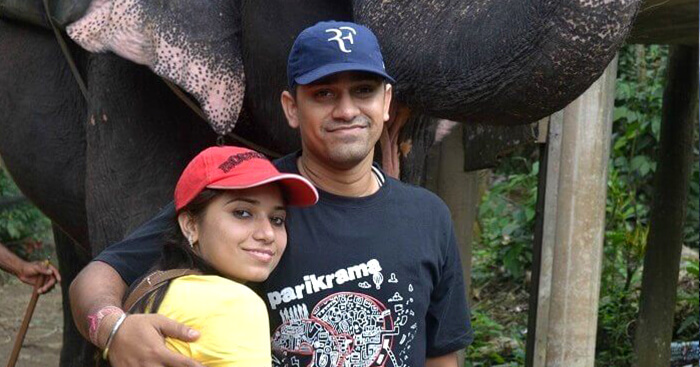 Rajeev Singh talks about his 5 day trip to Kerala that costed him INR 30,000. 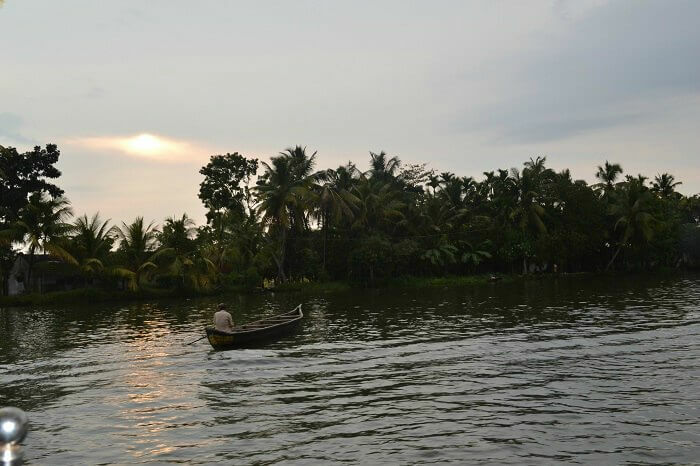 This trip included his stay, sightseeing and a private cab for the three cities – Alleppey, Thekkady, and Munnar. He describes his journey to the land that is famously known as ‘God’s own country’ and talks about the impact it left on him and his wife. October was approaching, and I was already excited. 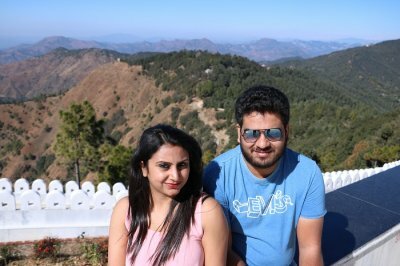 We had planned this for a long time and now when I was finally getting the opportunity to spend a long vacation in Kerala with my wife, Neha, I was ecstatic! So, after clubbing the holidays and the long weekend, I made arrangements for our air tickets. Meanwhile, I was also looking for a reliable solution to book the remaining package for the stay and sightseeing. It was TravelTriangle.com that came to my rescue. The website prompted me to fill in my budget and the number of days. Within no time, I found myself with a call and quotes regarding Kerala. 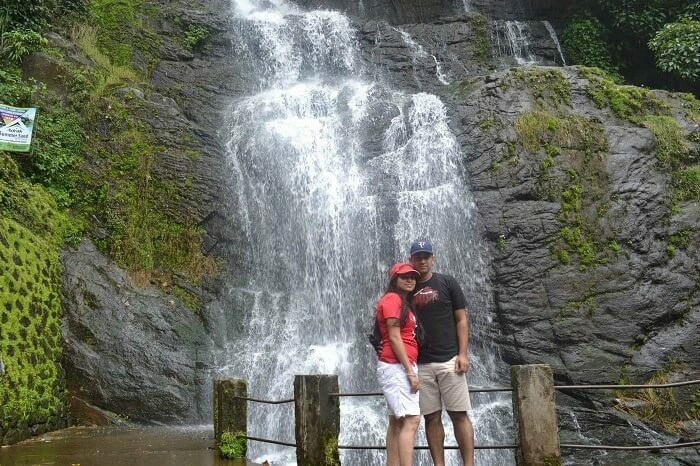 So, after choosing the best quote and itinerary, we packed our bags and set off to nature’s paradise. 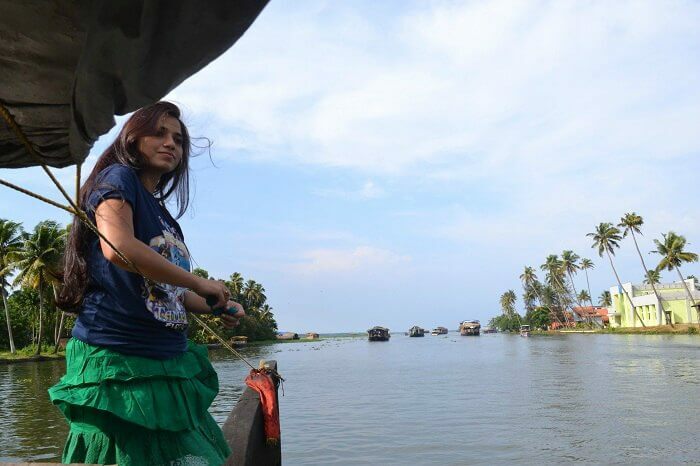 After landing in Cochin, we boarded the private cab that was assigned to us and set off towards Alleppey for the backwaters. The highway towards the city was beautiful and nice. There were a lot of coconut trees and the greenery in totality was soothing to the senses. 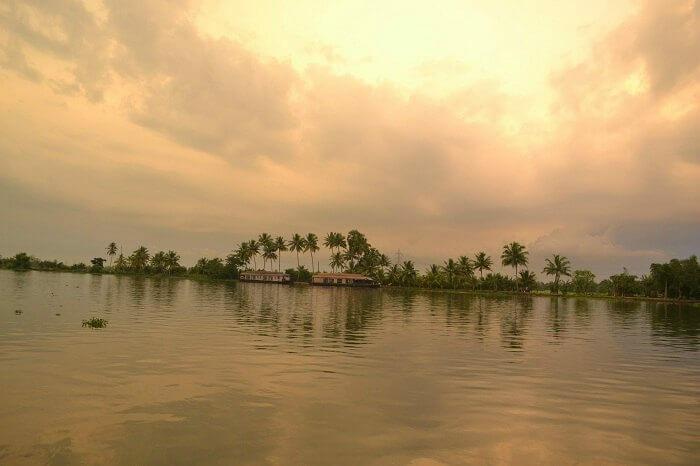 As we reached the backwaters, which was also, the most anticipated destination of our trip, I could feel my heart beating faster. And as we boarded the private boat house for sightseeing and stay, I knew this was a start to something beautiful. The captain of our boat then took us around for sightseeing and believe me when I say it, it was magical. Boating around in lagoons and lakes was an out of the world experience and I will never forget the rejuvenation that it gave me. The butler in our boathouse was an expert chef and the recipe he taught us for cooking prawns, will now be forever used in our household. We also stopped at various points and saw a lot of fresh fish for sale. It was great to find out that they could even cook it for us if we wanted. There were also a lot of green paddy fields that stretched till wherever the eyes could follow. The whole day and evening seemed like a fairytale, the beauty was unreal, and it almost appeared as if all this was straight out of a picture book. 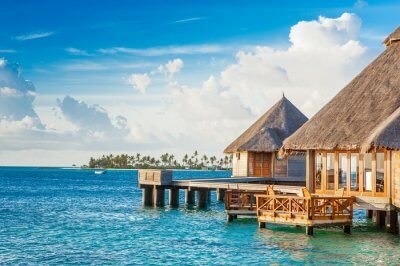 I remember my wife and I enjoying the skylines, the coconut water and the engaging company of the chef and captain of the boat. It was all so relaxing and we felt as if time had slowed down. We were living in the moment. After bidding farewell to Alleppey, we started our journey towards Thekkady, our next destination. It was a long road trip that took a couple of hours and by the time we reached the city, it was evening. 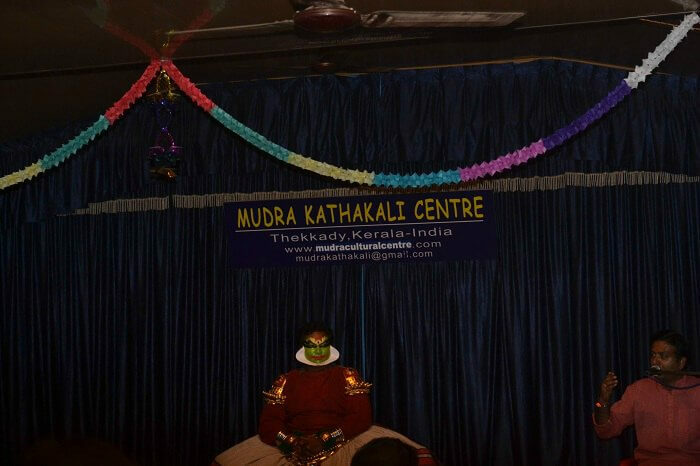 However, all time wasn’t lost since our guide had arranged a visit for us to see the Kathakali dance, which in my experience, was absolutely amazing. My wife and I both were in awe of the dancer’s expressions, and it was truly magnificent to see him narrating a chapter from an ancient book through his dance form. There was also a martial arts show, which was again thoroughly enjoyed by us. 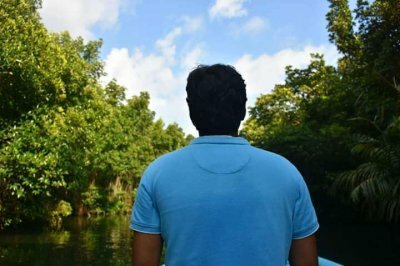 Next morning in Thekkady, we set off to explore the wildlife in a boat on the Periyar River and I was taken aback by the beauty of what I saw. We also saw a lot of enthusiasts doing rappelling, kayaking and other water sports and the whole scene combining nature and sports seemed right and balanced, the way it should always be! 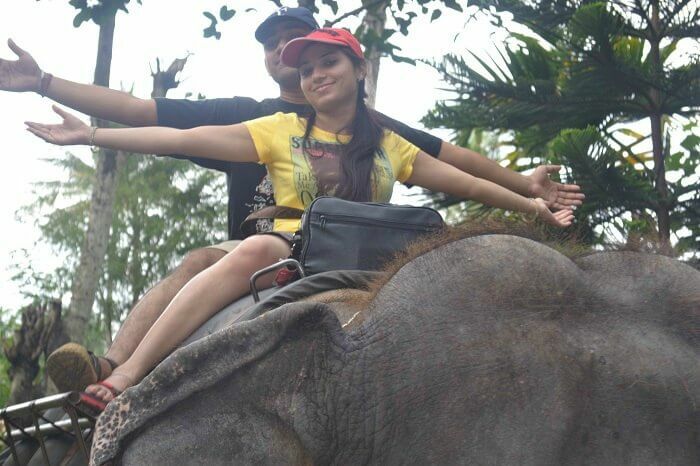 Next at 12 PM, we visited a national park where we enjoyed a wonderful elephant ride. 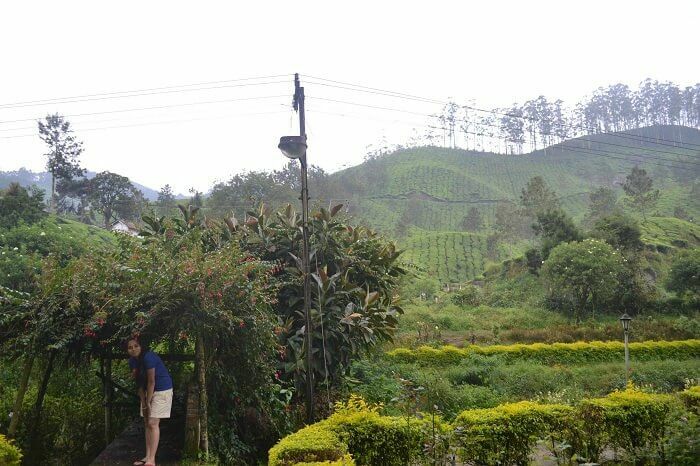 So, finally after doing all the fun activities, we proceeded for Munnar. The highway to this city was again beautiful and by the time we reached Munnar, it had started raining. So we checked in at our hotel and retired for the night. Munnar has a lot of heavenly gardens that come straight out of paradise and speaking of paradise, there was a point that could even beat that, the Photo Point. This point looked exactly like the wallpapers we have on our smartphones and yes it has been imprinted on my mind forever. 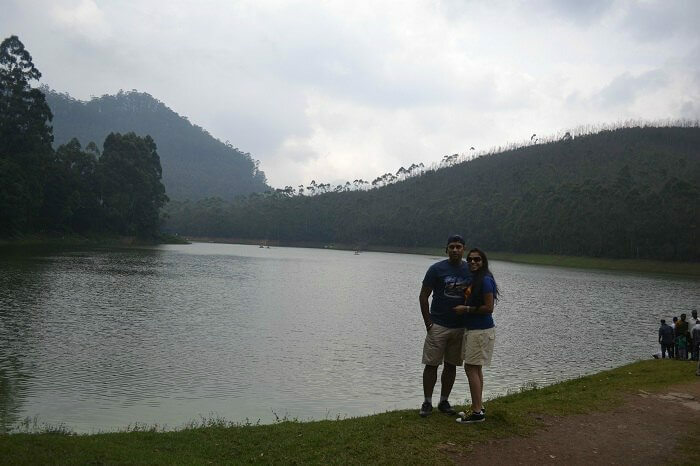 Our journey from Munnar to Cochin was a memorable one too. We saw a lot of waterfalls on the way and stopped by at the Lulu Mall for food and shopping. I was astonished to notice so many jewellery shops in Kerala and the one in the mall was huge. One big difference that I noticed between Kerala and other places was that people mind their own business here, they are tolerant, friendly and helpful, but do not indulge in trivial activities or interfere with others. Finally, having reached the Cochin airport, we bid farewell to our guide and driver, who had also turned into a friend during the journey. I admit, before this trip happened, I always used to wonder what so special about Kerala that people wouldn’t stop talking about it, but not now. For now, I know the reason behind the praises – Nature, Mind, and Soul. 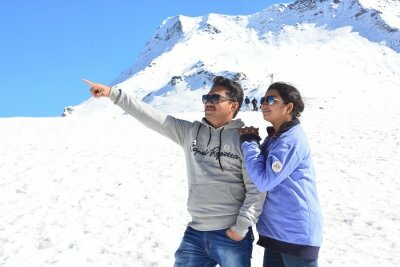 This 5 day trip to Kerala will be forever cherished by me because I loved its vibe, the lakes, scenery, friendly people, and most of all the rejuvenation that it offered. Looking back at these moments, my wife and I often talk about the places we did not know about, the once that should have been on our list, but were left behind because they weren’t in our knowledge. We want to visit them, explore them and move on from the popular parts. 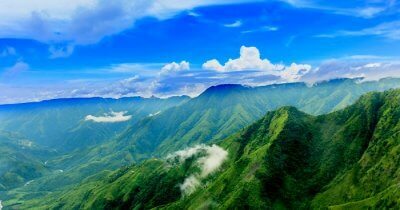 We want to experience Kerala like no one has ever done before and even the thought of it makes us excited. It might happen now or later, but it will happen and I know when it does, it shall completely astound us, again! High Points – Everything – including the waterfalls, backwaters, photo point, boat rides, elephant ride, parks, gardens, highways, people, culture, and art. Low Points – the driver could not speak Hindi, but was enterprising enough to figure out what we wanted. 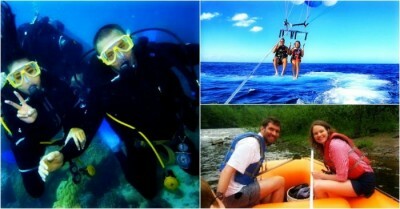 Tips to future Travelers – If you’re an adrenaline junkie, this might not be the place for you. But for everyone else, Welcome to PARADISE. 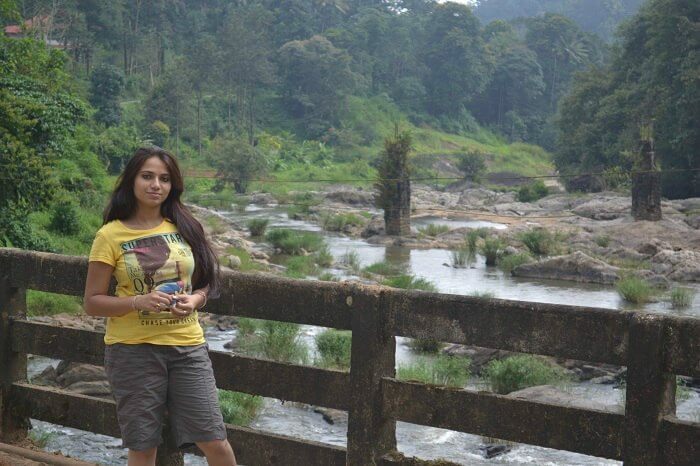 Want to witness the beauty of Kerala? Let us help you.